5 Bedroom Detached House For Sale in Chesterfield for £250,000. 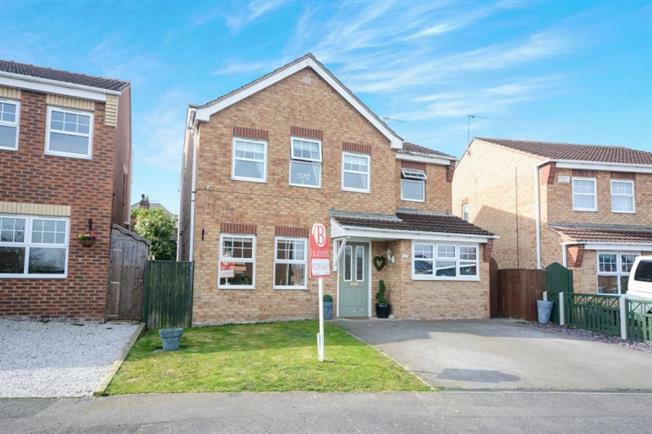 Please do not miss this opportunity to view this beautifully presented FIVE bedroom detached property in this ever popular residential area of Hollingwood. The property briefly comprises of Entrance door leads into the hall with access to the spacious living room. The kitchen has a range of wall and base units. There is access from the kitchen to the rear garden. Also to the ground floor is one of the bedrooms with en-suite. To the first floor there is four further bedrooms and family bathroom. The property benefits from off street parking to the front of the property and the garden to the rear is mainly laid to lawn with a paved seating area.